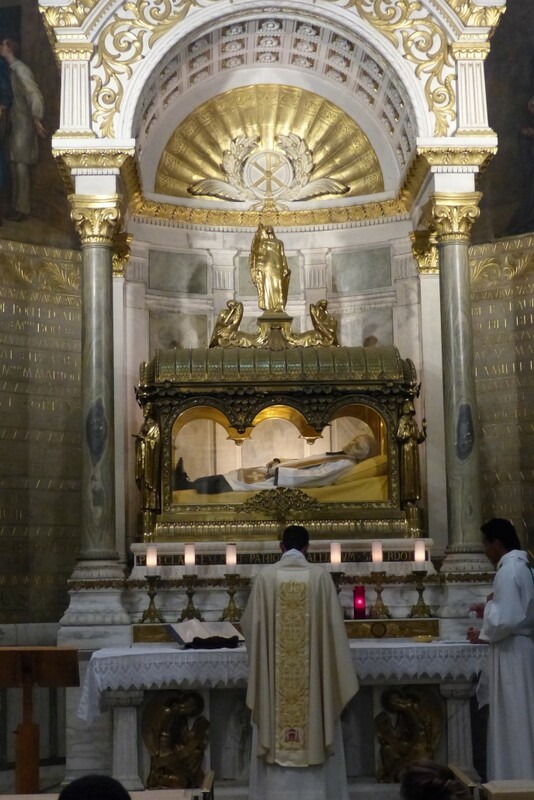 It is good to recall, following St. Jean-Marie Vianney and Benedict XVI, how much prayer is at the heart of the priestly ministry. The priest is above all a man of prayer, the man of God, despite the many activities that his pastoral charge imposes on him. Through his life of prayer, founded on the very prayer of Jesus, all his sacerdotal activity will be transfigured. In his letter to the priests, Benedict XVI, rereading the life of the Curé of Ars, invites priests to put prayer back at the heart of their lives and of their ministry. Furthermore it is a leitmotiv of the Holy Father: that each priest discovers or rediscovers the importance of prayer; this is one of the priorities that Benedict XVI has given himself. Why ? Let us dare to say it. To the priests willingly sensitive to the effectiveness of action and easily tempted by a dangerous activism, how salutary is this model of assiduous prayer in a life entirely devoted to the needs of the souls that was the Curé of Ars. “What prevents us other priests from being holy”, he said, “is the lack of reflection. One does not enter into oneself; We do not know what we are doing. It is reflection, prayer, union with God that we need. ” He himself remained, to the testimony of his contemporaries, in a state of continual prayer, from which neither the harassing weight of confessions nor his other pastoral duties distracted him. 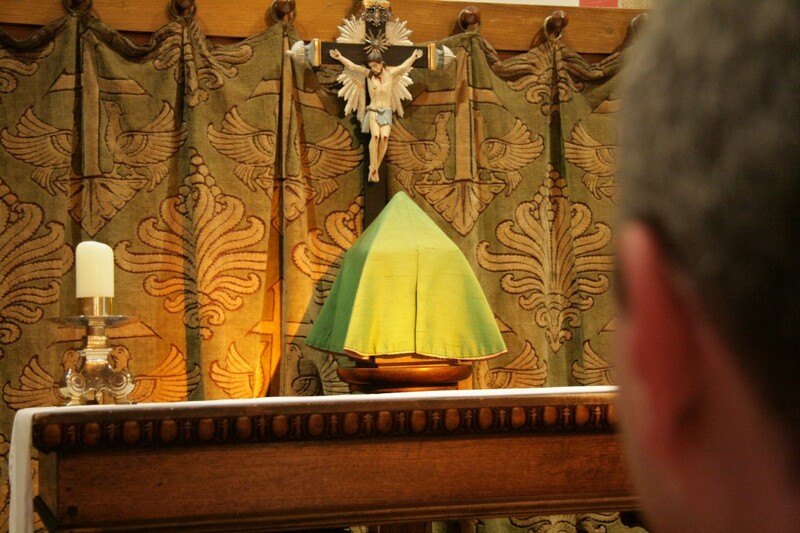 Every priest is therefore invited to be convinced, by the testimony of the Curé of Ars, of the need to be a man of prayer and especially of the possibility of being one, whatever the sometimes extreme load of the ministry might be. But there must be a strong faith like that which animated Jean-Marie Vianney and made him accomplish marvels. “What faith!”, exclaimed one of his companions, “There would be enough to enrich a whole diocese.” This fidelity to prayer is also a personal duty for the priest, and the wisdom of the Church has indicated in the last documents several important points, such as daily mental prayer, visit to the Blessed Sacrament, the Rosary and the examination of conscience. In a recent homily, the Pope explains the foundation of priestly prayer. By contemplating the pierced Heart of Christ, the priest discovers that in Jesus Christ, Priest, person and mission coincide. “All the salvific action of Jesus was and is an expression of his filial self, which, from all eternity, stands before the Father in an attitude of submission full of love to his will.” Finally, the ministry of Jesus consists first of all in praying, that is, in living fully his filial relationship with the Father and then in giving himself to men in the total offering that will lead him to the Cross. The priest, called to represent Christ, must strive for this existential identification with Christ. The lectio divina extending into prayer is the only way for the priest to grow in this intimacy with Christ. The daily Eucharist will then inflame “the priest of this ‘pastoral charity’ capable of assimilating his personal ‘self’ to that of Jesus Priest, so as to be able to imitate him in the most complete self-giving.” For the priest, to pray is to be fully conquered by Christ. 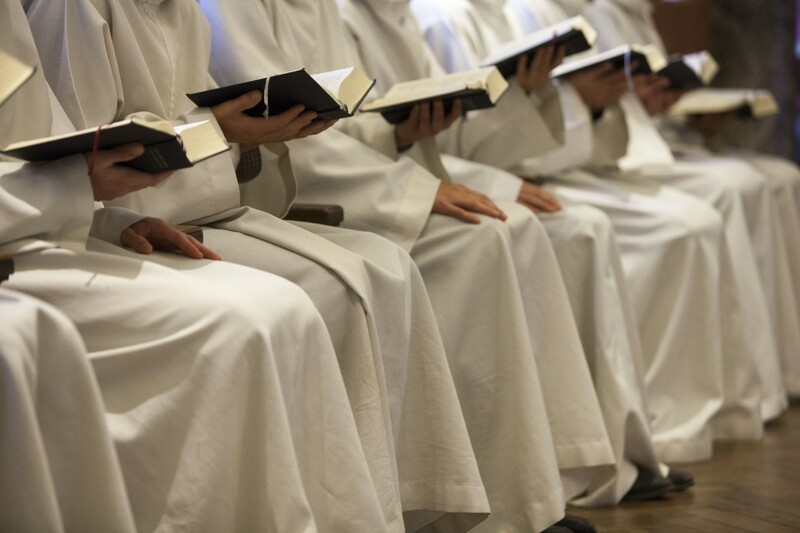 Far from enclosing the priest in a personal spiritual life, prayer allows the priest to overcome the tension inherent in the priestly life between ministry and spiritual life. The only way to live this tension peacefully is to pray more so that prayer becomes the soul of ministry. It is only on this condition that the priest can sanctify himself in his ministry. As Benedict XVI says, the science of love that animates all our pastoral work can only be learned in heart to heart with Christ. The existential communion which the priest has to establish with Christ is the central point to all of the priestly spirituality. http://www.communautesaintmartin.org/wp-content/uploads/2014/07/MG_4109.jpg 666 1000 Fidesio http://www.communautesaintmartin.org/wp-content/uploads/2014/10/Logo-CSM-300x73.png Fidesio2017-09-22 07:56:062018-12-10 13:56:19WHAT IS A PRIEST?